Asian Dub Foundation bring the noise while performing live to seminal French film La Haine in Liverpool, Getintothis’ Matthew Wood readies himself for what could be one of the year’s best events. 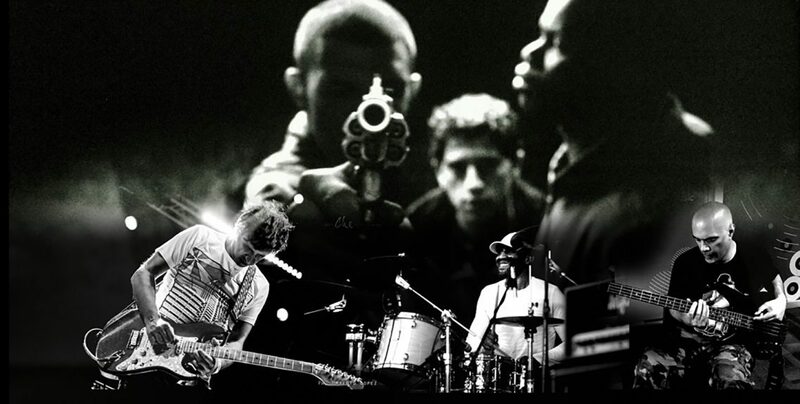 Dub and ragga outfit Asian Dub Foundation are to perform live reinterpreting the soundtrack of 1995 iconic French drama, La Haine at the Invisible Wind Factory on May 25. The first production of their re-imagined soundtrack to Matthew Kassovitz‘s seminal cult classic began in 2001 when they performed the score live at the Barbican Centre, to critical acclaim. David Bowie went on to invite them to perform at Meltdown Festival, to a crowd including Kassovitz himself. ADF‘s diverse, urban sound proves a formidable companion to the multi-cultural housing projects of Paris featuring heavily in La Haine, magnifying and typifying the brutal angst and struggle of the three young protagonists as they arm themselves against drug dealers, riots and the police force. While this is a salute to and a celebration of great music and cinema, following the recent catastrophe in Grenfell Tower in London’s public housing projects, one of the most powerful pieces of French cinema is still as relevant as it was in 1995 and undoubtedly this will be a cathartic, poignant night of sweat, tears and rapturous applause. Released in 1995, La Haine stars Vincent Cassel and describes the tension in the suburbs of Paris after the killing of a man by French Police. The rawness has made it a cult classic, reaching no. 32 in Empire Magazine’s Best 100 Films of World Cinema.